For many, Thanksgiving is a time to gather with friends and family and celebrate any number of accomplishments or achievements. Yet so many people don’t realize the inherent dangers of the season. Forbes has referred to Thanksgiving as among the deadliest of all holiday seasons. That’s because every year the number of both vehicle- and heart-related deaths spike suddenly, and those figures often remain high throughout much of the winter season. Yet there are more risks involved to this otherwise joyous holiday. Thanksgiving can truly be a time for peace and prosperity, but only if you follow the proper safety precautions. Always watch the stove: It doesn’t take long before certain dishes can burn. More than simply spoiling your meal, these can lead to small blazes that can spread across the entire kitchen. As an extension of this, be sure to watch small children. Even if you only turn your attention away for a few seconds, a child can still burn his or her hand on the stovetop. To keep everyone safe, institute a “no kid” zone around the kitchen and have older children help enforce this safe space. Watch where you walk: Depending on the size of your family, you might have a dozen or more people over to celebrate Thanksgiving. That means a lot of different people will be moving around simultaneously, and that can lead to potentially harmful slips and falls. Clean floors are not only more attractive, but they are a great way to prevent these accidents. Make sure everyone knows to watch where they step and to clean up any messes or spills as a means of safeguarding other dinner guests. Keep a fire extinguisher handy: As mentioned, it’s easy to get distracted and lose track of something cooking on the stove. If a fire does ever break out, you want to be as prepared as possible. That means having a fire extinguisher handy, either a small hand-held option or a more standard model. If you’re unsure of how to use the extinguisher, your local firehouse should offer free instructional courses. If your house already has an extinguisher on-site, be sure to get it checked out before your next Thanksgiving dinner. Thanksgiving should be a time of fun and joy. Thaw your turkey properly: According to a report by Food Safety News, some 13 percent of turkey parts are contaminated with salmonella. To reduce the risk of contracting this harmful bacteria, you must always take great care when thawing your turkey. The United States Department of Agriculture explained that there are several different thawing methods available, including cold water and the use of a refrigerator. However, be aware that the total time for each method varies depending on the weight of the bird. For fridges, you generally add a day for every four to five pounds. Meanwhile, the cold water method involves 30 minutes of soaking per pound. Pay heed to how you cook: If you’ve ever prepared a Thanksgiving dinner for a hungry family, you’ll probably have forgotten a few kitchen basics amid the barrage of chaos and conversation. For one, you never want to use a glass casserole dish on a stove, as the heat can cause it to explode. You’ll also want to make sure that any food wrappers are kept away from hot surfaces, lest they catch fire. Finally, don’t ever try to douse a grease fire with water. Instead, try to smother it using a heavy pan or lid. 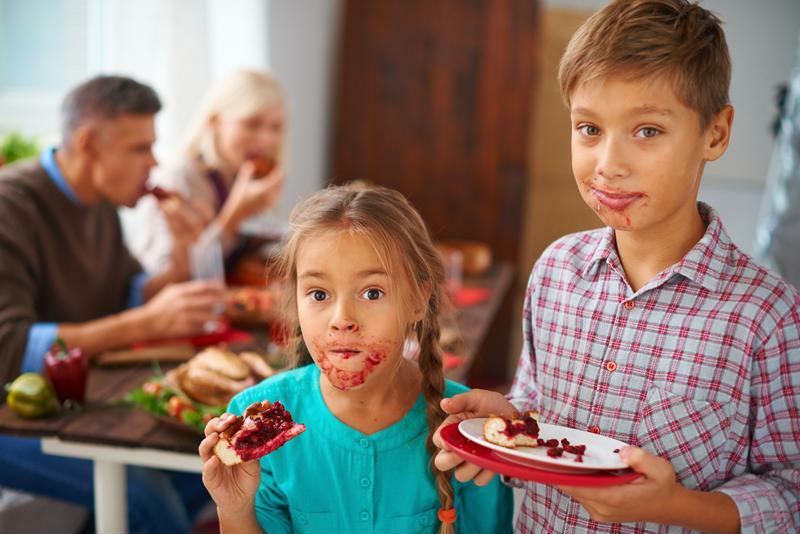 If an emergency does occur either on or around your Thanksgiving celebration, you can always take your family members to a CareWell Urgent Care location. Located across much of the East Coast, CareWell can treat almost any injury at any time of the day. You’ll be thankful you thought of CareWell during your emergency.